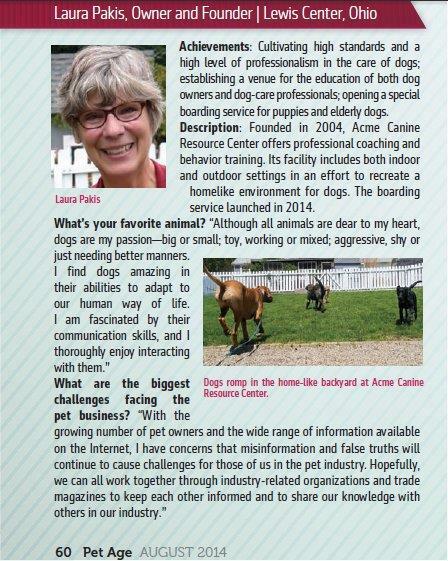 Each year Acme Canine Resource Center solicits nominations for a charity to sponsor through our fundraising events. This year’s selected group is 4 Paws for Ability. Located in Dayton, OH, and founded by Karen Shirk, 4 Paws for Ability is a nonprofit, 501(c)(3) organization whose mission is to place quality service dogs with children with disabilities and veterans who have lost use of limbs or hearing; help with animal rescue, and educate the public regarding use of service dogs in public places. This entry was posted in The History of Acme Canine and tagged 4 Paws for Ability, service dogs for children. Bookmark the permalink.